Today i will discuss about ZTE ZXA10 C220 OLT NM Configuration. ZXA10 C220 supports both in-band NM and out-of-band NM. In-band NM is implemented through uplink port. It is usually used in practical engineering. Out-of-band NM is implemented through the Q port on the control switching card. It is usually used in local management. Make sure the network device works normally. Log in to the ZXA10 C220 through HyperTerminal/Xshell/Putty. In the in-band NM mode, NMS information is transmitted through service channel of ZXA10 C220. It is flexible in networking without any auxiliary devices, and low in cost. But it is hard to maintain ZXA10 C220 when the service is down. Network Diagram Sample: Bellow are the in-band NM networking diagram. The corresponding data must be configured on the router as well. Step-1: Configure in-band NM VLAN. i. Enter global configuration mode. Enter configuration commands, one per line. End with CTRL/Z. ii. Enter uplink interface configuration mode. iii. Add uplink port to NM VLAN in tag mode. Note: When a port is added to a VLAN, the VLAN is added automatically. Step-2: Configure IP address of in-band NM interface. i. Enter VLAN interface configuration mode. ii. Configure IP address of in-band NM interface. Note: In-band NM IP address and out-of-band NM IP address must not be in the same network segment. Step-3: Configure in-band NM route. Step-5: Configure SNMP server (Trap server). Note: When there is trap server from other vendors besides ZTE NetNumen NMS, multiple snmp-server hosts can be configured. Step-6: Configure Trap types (optional). ZXA10 C220 supports six types of traps: SNMP, BGP, OSPF, RMON, STALARM, VPN. All traps are enabled by default. Result: The ZXA10 C220 can be managed through the in–band NM IP address. Make sure network device works normally. In the out-of-band NM mode, NMS information is transmitted through non-service channel. The management channel is independent from the service channel. Thus out-of-band NM is more reliable comparing with the in-band NM. Networking Diagram: Bellow are the ZTE ZXA10 C220 OLT NM Configuration out–of-band NM networking diagram. Step-1: Configure out-of-band NM IP address. i. Enter the global configuration mode. ii. 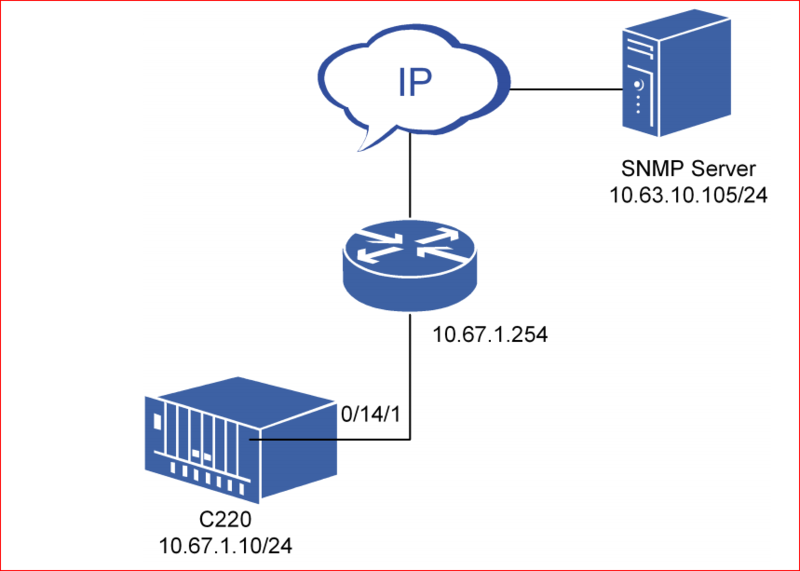 Configure out-of-band NM IP address. Step-2: Configure out-of-band NM route. 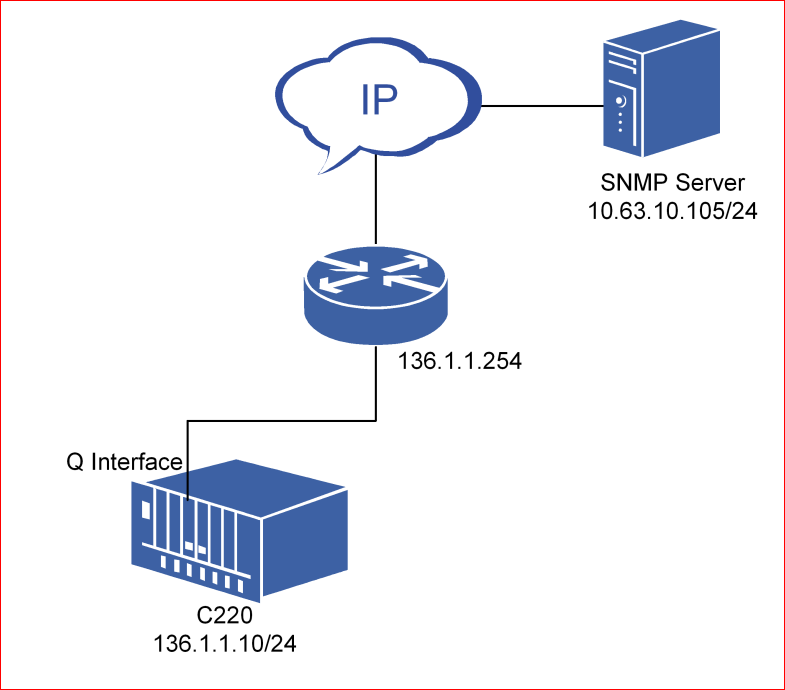 Step-3: (Optional) Configure SNMP community. snmp-server location xxxxx, yyyyy, zzzzzzz, Bangladesh. Step-4: Configure SNMP server (Trap server). Step-5: Configure Trap types (optional). Result: The ZXA10 C220 can be managed through the out-of-band NM IP address. How to configure sd-disk ? What the fat type it ? We needed backup config and other to sd-disk.